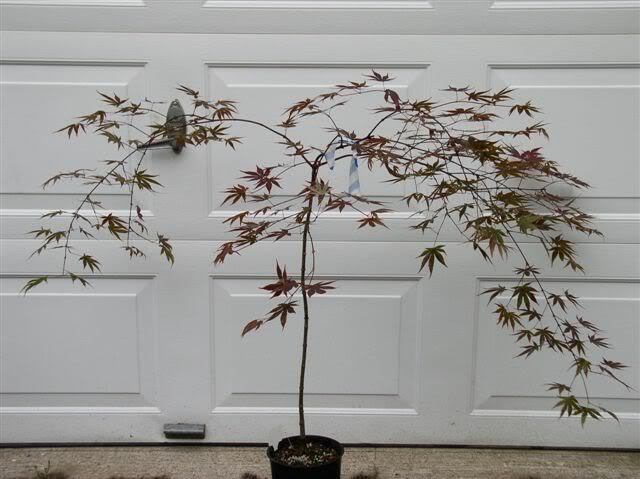 Considered the 'black' Japanese maple. Silvery white pubescence in young leaves in the spring later become black-red. In the summer the color changes into a brown-green with abundant bright green winged fruits. Young branches are also bright green/yellow. Lovely contrast with the dark leaves. Bright red and crimson fall colors. Moderate growing tree reaching 16 ft at maturity with a 10 ft spread. Origingated from Hillier's Arboretum, England. This tree has received the RHS Award of Garden Merit. Best color in sun but will tolerate some shade. Plant in well-drained soil. Zone 5.